What’s the easiest business you will ever get? The easiest business you will ever get is more business from your existing customers. With one caveat – I’m assuming they’re satisfied! Why is it that most business owners and salespeople don’t answer this question correctly? I have said it before, there could be a goldmine waiting for you. Whenever someone tells me they want to increase sales I always start with understanding the business they currently have. Sell them more of what they are already buying. Sell them items they are not currently buying. Develop new items to sell them. If you need to generate more leads, start digging around in your own customer base. See what you find. Then figure out what you need to do to 1) Make sure all your customers are satisfied and 2)Turn your satisfied customers into loyal customers so that they continue to buy and send you lots of referrals. Please feel free to comment below. Thanks for reading my blog! If you would like more “how to” information about sales please subscribe to my newsletter. If you need help turning your satisfied customers into loyal customers, I welcome your questions. Please contact me at answers@aliceheiman.com or call 775-852-5020. Great tips Alice! I wiill be putting this to use. 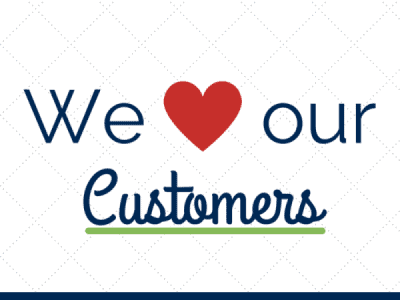 Connecting with current customers and making sure they are more than satisfied! This is really the easiest business, nothing like selling again and again to loyal customer + friend. Great advice Alice! This even works for my virtual assistant business! Thanks for the compliment, Carisa. Yes, it should work very well for your business.